Save time by reviewing different variations of your 3D samples simultaneously. Create seamless collaboration across your supply chain as the 3D assets can easily be shared with your team, external suppliers, and vendors. Work in an innovative high-tech environment and pave your way towards growth and agility. Leverage the power of 3D across your workflow and present a virtual collection in a line review meeting or showcase a final true to life 3D collection in various sizes, colorways, and views. Showcase various sizes of your virtual sample in a 3D digital environment. Display your style in high quality rendering mode and view your design in an accurate, true to life virtual sample. 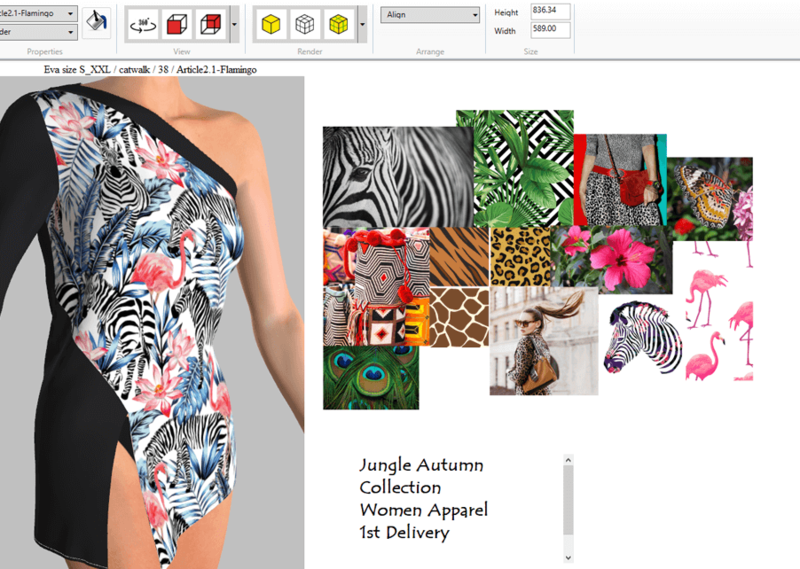 Visualize your garment in various materials and colorways to get the visual properties of your virtual sample. Attach images, hyperlinks, videos, and text in the virtual sphere to further accessorize your presentation. Want to review your virtual samples with Revu?